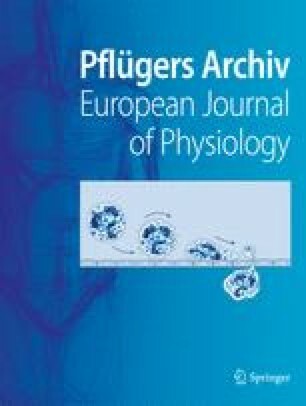 Epithelial Na+ channel (ENaC) activity in kidney and colon is stimulated by aldosterone acting on the mineralocorticoid receptor (MR). MR and the glucocorticoid receptor (GR) show high homology in their DNA-binding domain and have similar affinities to mineralo- and glucocorticoids. We therefore asked whether the glucocorticoid-mediated activation of ENaC is restricted to the presence of MR and used the MR knockout mouse model to address this question. Due to their MR deficiency and the consecutive reduction of ENaC activity these mice die as neonates, and even after appropriate substitution therapy adult MR knockout mice suffer from high Na+ loss and hyperkalemia. In the present study, glucocorticoid treatment restored plasma K+ and almost normalized the fractional excretions of Na+ (FENa+) and K+ (FEK+) in adult salt-substituted MR knockout mice, while the effect of amiloride on FENa+ and FEK+ was augmented in these animals. In order to estimate ENaC activity, measurements of transepithelial equivalent short-circuit current (I sc) were performed. Glucocorticoids induced an amiloride-sensitive Na+ absorption in renal cortical collecting duct and distal colon of MR–/– of about 25% and 50% of the currents observed in glucocorticoid-treated wild-type mice, respectively. In the colon glucocorticoid treatment increased the mRNA abundance of all three ENaC subunits, in the kidney only α-ENaC was increased. The regulation of ENaC expression was the same in both genotypes and thus irrespective of the presence of MR. These data show that MR is no prerequisite for the activation of ENaC transcription and activity, and that the respective mechanisms can be stimulated via GR.